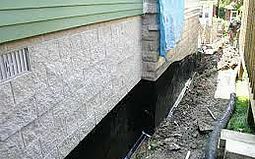 Basement waterproofing is a smart investment in your home’s future. Water damage can cause all kinds of problems and can leave behind long-lasting harm. Hours of cleanup, mold issues, and damaged property are just a few of the most common issues. There’s no reason you should have to deal with these problems the next time there’s a storm or other severe weather. We provide high-quality waterproofing services to customers throughout the Metro Atlanta area and surrounding. There’s nothing stopping you from getting a customized waterproofing solution for your home. We invite you to call our office and set up your hassle-free appointment. A helpful team member will discuss your situation and talk about what may be the best course of action. Once you’ve hired us for the project, you can expect your assigned team to be respectful or your time and your property. They’ll arrive punctually and will always act professionally while on the job. Our customers also depend on us for foundation repair and indoor air quality services. 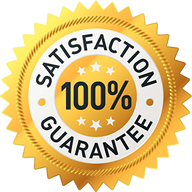 Whether you’ve had flooding issues already or are worried about future problems, it’s a good idea to consider America’s Restoration Services for basement waterproofing your home. Call the us today to learn more about this important service or to schedule a consultation. information so that they can respond to my inquiry. AMERICA’S RESTORATION SERVICES. © 2016. ALL RIGHTS RESERVED.